The 10th is home to two of the major train stations in Paris, Gare du Nord and Gare de l’Est, attracting Brits who seek conveniently located pied-á-terres. 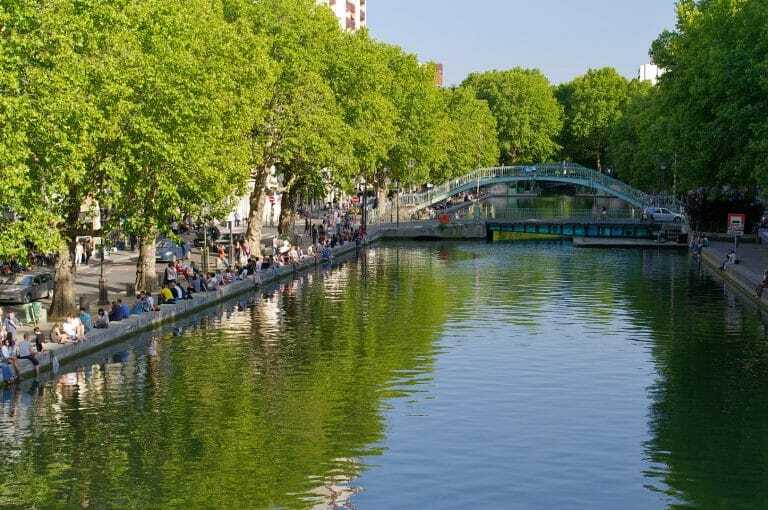 The Canal Saint Martin has become the focal point for the changing face of this once hard, working-class neighborhood with shops, restaurants, bars, and a creative variety of housing options: repurposed factories turned hip lofts mix with more traditional apartments. The 10th is noted as being one of the most sought-after areas in Paris in terms of real estate investment because the affordably-priced property here is expected to go up dramatically in the coming years with the gentrification well under way. 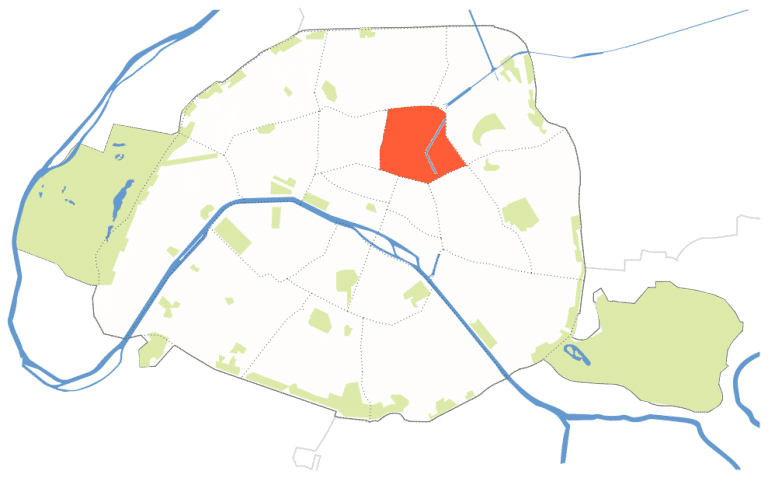 As the area gradually gentrifies it has become increasingly difficult to find apartments at a bargain price in the 10th arrondissement, particularly because many owners don’t want to sell for fear they won’t be able to upgrade to a bigger apartment. Near the Canal Saint Martin and Place de la République, prices are climbing and the area has a hip, buzzy feel, but around La Villette and Saint Denis prices are still reasonable. Average price: 8,705 €/m2, ranging from 6,040 € to 11,821 €/m2 depending on the area. By far the best tacos you will find in Paris. Right next to the canal St Martin, this taqueria is the perfect place to start your picnic on the canal. There are no tables; it is only a to-go spot. But the corn tortillas are homemade and the chef is a Mexican expat living in Paris who knows his stuff, which makes eating on the go well worth it. If you must sit, the Spanish restaurant Chez Tolo, right next door, will let you bring your tacos to the table if you order drinks with them and if they are not too crowded. Perhaps you know of this restaurant from Anthony Bourdain’s 100th episode in Paris. Part specialty shop, part restaurant, La Tête dans les Olives has just one table available for five people per night. Intimate and convivial, the chef here becomes a member of the family for the night as diners experience creative dishes, great wines, superb olive oils, and an unsurpassed experience.